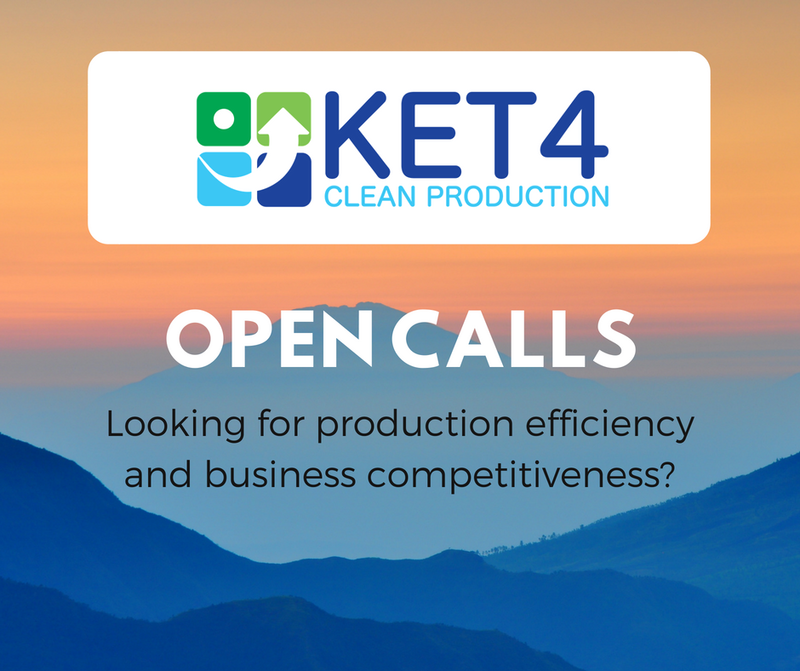 KET4CleanProduction is the new program tailored to support Manufacturing SMEs to tackle clean production challenges. The program’s Micro Grants aim to integrate Key Enabling Technologies in small businesses to promote the efficient use of resources, minimise environmental impact and increase business profitability and competitiveness. Selected SMEs will have access to technology services and facilities for clean production innovation through a premier Network of Technology Centres. Scope: Micro Grants are offered for cross-border cooperation projects between small and medium-sized enterprises (SMEs) and minimum 2 KET technology centres (KET TCs), which aim to integrate key enabling technologies (KET) to solve clean production challenges. KET4CleanProduction is funded under European Union’s Horizon 2020 Coordination and Support Action No 777441. Steinbeis 2i GmbH leads the project in partnership with 12 premier KET Technology Centres and 7 partners of the Enterprise Europe Network from 18 different European countries.